An inter-school poem recitation competition was organised for government school students across Tamil Nadu. 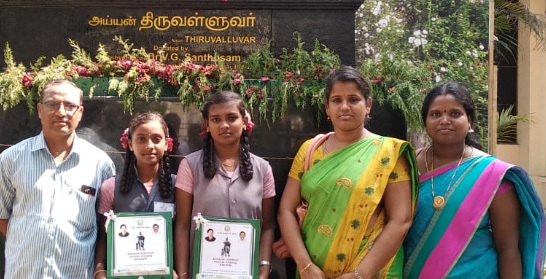 Two students from SNSF’s partner school, Panchayat Union Middle School, Kolathur recited a couplet from Tamil poet Thiruvalluvar’s work. On 26th October 2018, a certificate of appreciation with a cash reward of Rs.10,000 was handed over to them by the Tamil Nadu Chief Minister, Mr. Edappadi K. Palaniswami.